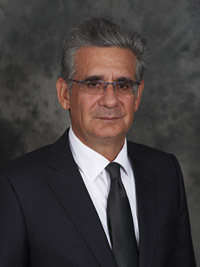 Murray Tkatch has practiced personal injury law since 1981. He has represented thousands of clients in claims involving injury, disability and loss. His commitment to clients is that he will always be personally involved in their cases. Mr. Tkatch has a long and proven track record as one of Ontario’s top trial lawyers and has won many cases for his clients. It has been Mr. Tkatch’s commitment to justice and his client’s needs that has allowed him to grow Tkatch & Associates from a single lawyer firm in 1981, to one of Ontario’s top personal injury law firms. Mr. Tkatch is the author of numerous online commentaries on negligence, representing minors, slip and fall cases, motor vehicle accidents, the law of tort and accident benefits. Murray has been a active member of the community having spent years coaching and managing various youth hockey teams and organizations. Murray and Tkatch & Associates have also been committed philanthropically to supporting a number of hospitals, health institutions, medical research initiatives, and community aid charities. Martindale-Hubbell - Peer Review - 2009, 2010, 2011, 2012, 2013 CV* Rated Attorney - The highest rating a lawyer can achieve indicating high legal ability and ethical standards.